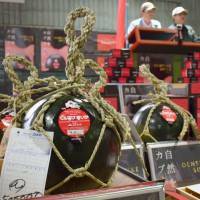 ASAHIKAWA, HOKKAIDO - A black watermelon grown in Toma, Hokkaido, sold Tuesday for ¥500,000 in the year’s first auction of the popular fruit. 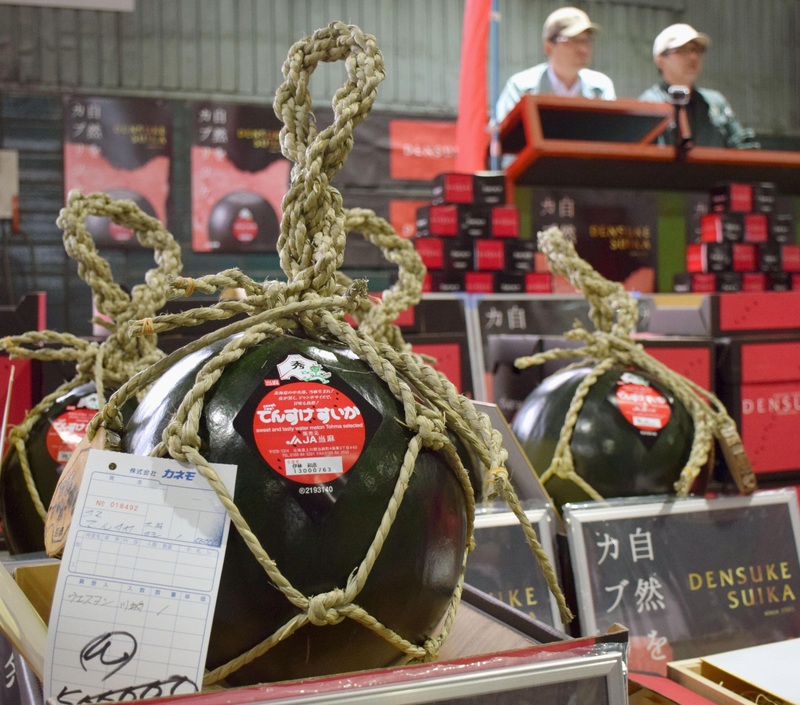 Around 260 Densuke watermelons, known for their black and shiny skin as well as their crunchy texture, were auctioned off Tuesday at fresh produce markets in Asahikawa and Sapporo. The all-time record bid was ¥650,000, set in 2008. An agricultural cooperative in Toma said the peak season for this variety is July and that it plans to ship 70,000 this year. They are expected to retail for around ¥5,000 apiece.